Movies Vocabulary: como dizer equipe de filmagem, elenco e enredo em Inglês? It's possible that by now you've already established your taste for movies. There are many movie genres that you can pick from. And before I get into them, I need to say that genre is nothing but a kind or a style of something, such as music, TV show, painting, etc. But since we're discussing vocabulary about movies, here's a list of the most popular movie genres: horror, thriller, action, comedy, animation, romantic, drama, action, among others. What is your favorite movie genre? Leave your answer in the comment section down below. I would personally say that one of my favorite movie genres is sci-fi, which is a genre with stories set in the future or in outer space. In order for a movie to be made, there are certain elements of it that must be taken into consideration. 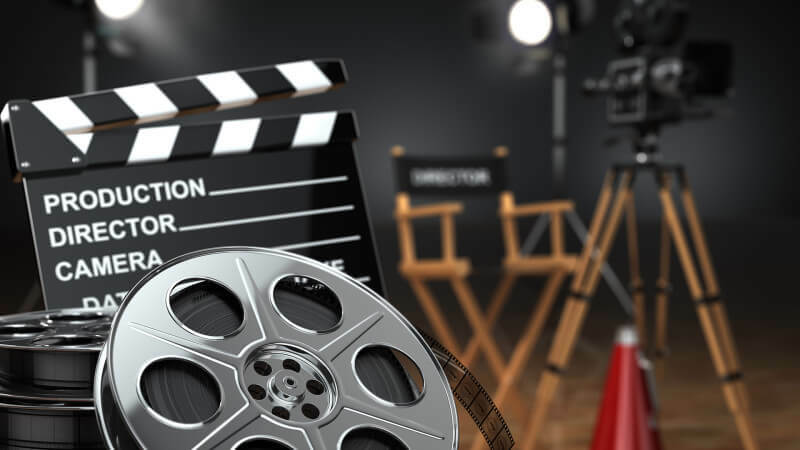 The director, who is the person in charge of making a movie by overseeing the creative aspects of it, hires the cast whereas the film crew is hired by a production company. The difference between both is that the cast are understood to be the actors who appear in front of the camera or provide voices for characters in film and the film crew is everyone else making the film. We actually also have the producers who are more than just part of the crew. They own a portion of either the film company or the film's intellectual property rights. Over the past years, the way people watch movies have changed a little. Going to the movies is still one of the favorite hobbies of many people (me included), but streaming services like Netflix is molding the movie and series industry. It's undeniable that watching a movie from the comfort of your home is sometimes much more convenient than going through a lot of troubles to get to the movie theater (however big and appealing that big screen can be). The screen by the way is that flat surface that a movie is projected onto. All you gotta do is go through the list of movies available for streaming and pick the one whose plot appeals you the most. Plot is the series of event that form the main story. That's all for today, guys. Talk to you next time! 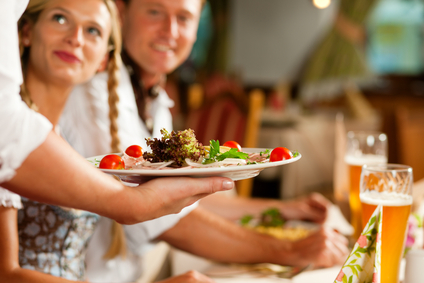 The first thing you need to do after deciding to eat out with your friends or family is to book a table. You might be finding it weird to see the word book, most commonly known as a noun, used as a verb here. But in this context, booking means to make an arrangement in advance, to eat there a particular time. So let's suppose you and your family have gone through the process of booking a table and have finally made it to the restaurant. The moment you all sit at the table, you're handed the menu. The menu is nothing but a printed list of meals that a restaurant serves. There are some kinds of menus. A set menu displays a list of dishes you can order together. It can include a main meal, a starter and dessert, all for a set price. Let's not forget that most restaurants have "today's specials", which are extra dishes cooked on the day that are not on the main menu. The drinks menu shows the soft drinks and alcoholic drinks that the restaurant can provide you with. And if the restaurant is a little bit fancy, you can get a wine menu. I've previously mentioned some of the parts of the meal, such as starter, main course and dessert. But we need to get to know them better. A starter is the first course of the meal, which basically consists of small portions of food, served either hot or cold. You might want to skip this course if you're not very hungry. Then we have the main course, which as the name suggests itself, it's the main part of the meal. They're medium to large portions of food, which may or may not be served with vegetables. Then we move on to the side dish, which is a small portion of food you eat with a main meal. Side dishes are often shared with other people eating at the table. And finally we get to the dessert, which is the last and maybe most beloved part of a meal, especially by children. I say that because it is typically consisted of a sweet dish, such as cake, pudding or ice-cream. If you don't like sweets, you can alternatively ask for a savoury dish, which includes for example cheese and biscuits instead. It's not a great part of our culture here in Brazil, but in places like the United Stated it's important that you leave some tip before you leave the restaurant. A tip is a small sum of money given to restaurant staff, for good service. And that's about it for a good night out at the restaurant. Talk to you next time! O que significa CARPOOL ou CARPOOLING? No Brasil, essa prática infelizmente ainda não é tão popular. Mas em lugares como Inglaterra e Canadá, fazer rodízio de carona entre pessoas que fazem os mesmos percursos diariamente é tão comum que existem sites dedicados para promover esses encontros. Os motivos são variados, mas os principais sao a preocupação com o meio ambiente e a redução de gastos.